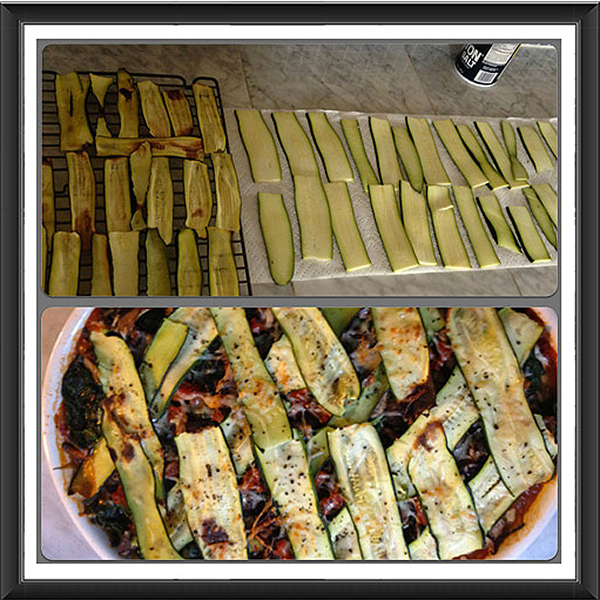 Recipe of the Day: Roasted Zucchini Lasagna - Eat. Fit. Fuel. I love lasagna! I do not love how full I feel after eating traditional lasagna. I decided to substitute the pasta with sliced zucchini. I sliced the zucchini and sprinkled with a little salt to help remove the moisture – then I baked them. From there put the dish together as you normally would – add ground turkey if you like and whatever veggies you have on hand. Delicious!